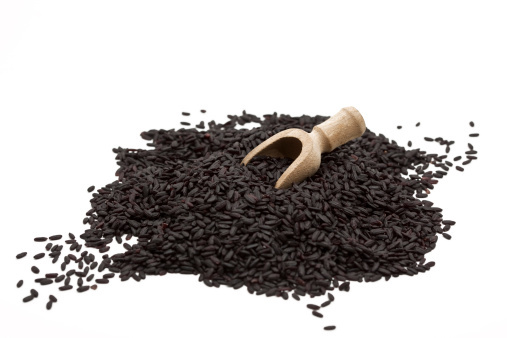 Black rice have a sweet and nutty flavour which makes them suitable to form the base of delicious desserts and a number of other side dishes. They are whole grain, with high nutritional value and fibre content. Black rice are usually grown in Asia but exported to different parts of the world and you can easily find them at major grocery stores. There are a number of different types of black rice. Some change from black to purple when raw while others convert from lavender to dark purple once cooked. The method of cooking black rice in a rice cooker is almost the same as brown rice, and according to health specialists, they are extremely useful for hygiene. Grab a metal sieve and measure two cups of black rice and wash them with cold water. Place the black rice in a sauce pan and fill it with cold water, allowing the rice to soak for 5 to 6 hours or overnight. Through a sieve, drain the black rice. Now put them in a rice cooker, adding half a teaspoon of salt and four cups of water. Now place the rice cooker on a boiler, placing it at high heat. With a snug fitting lid, you need to tightly cover the cooker and lower down the heat. Allow the black rice to boil for about 20 minutes and then check the colour and softness of the rice. Make sure that the black rice are now soft yet chewable. If you feel that the black rice are still hard, you may put the pan on medium heat for another 5 to 10 minutes. However, you must remove the lid from the rice cooker before placing it on the boiler again. You may now fluff the rice with a fork after turning off the burner. Put the black rice in a nice large dish and allow them to cool down for about 5 to 10 minutes before serving.